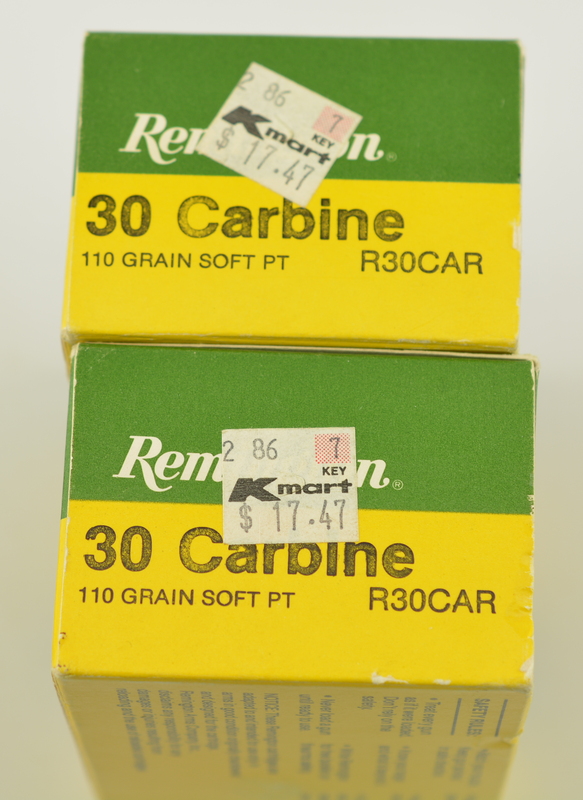 Description: Lot of two full excellent plus boxes of Remington 30 carbine ammo 110 gr soft point in the as new condition boxes both show an old Kmart price tag of $17.47. This Remington commercial ammo is considered to be some of the Best Quality built. 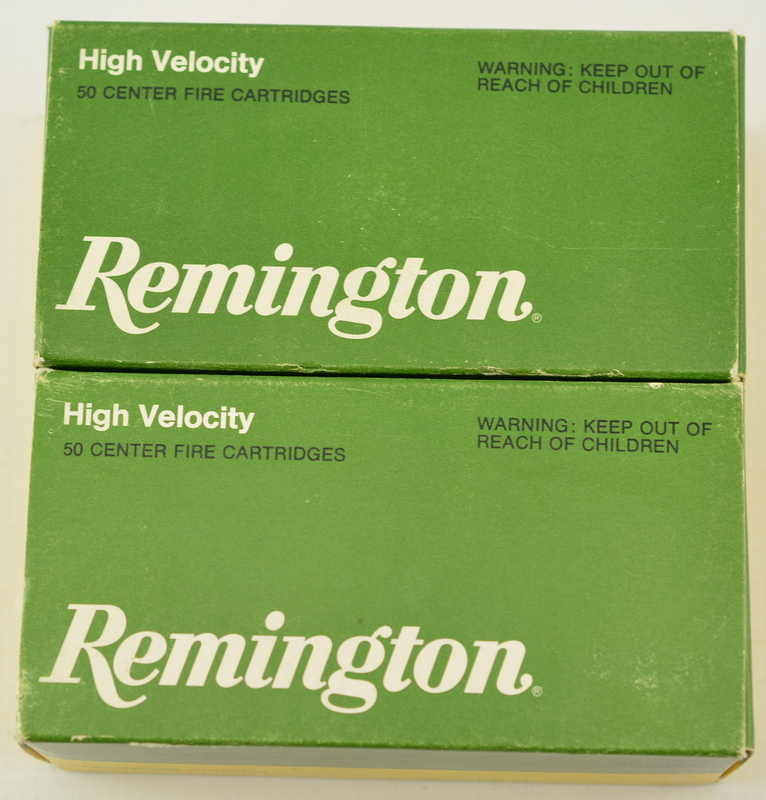 Both pre core lock marked, but high velocity-Excellent plus cartridges.